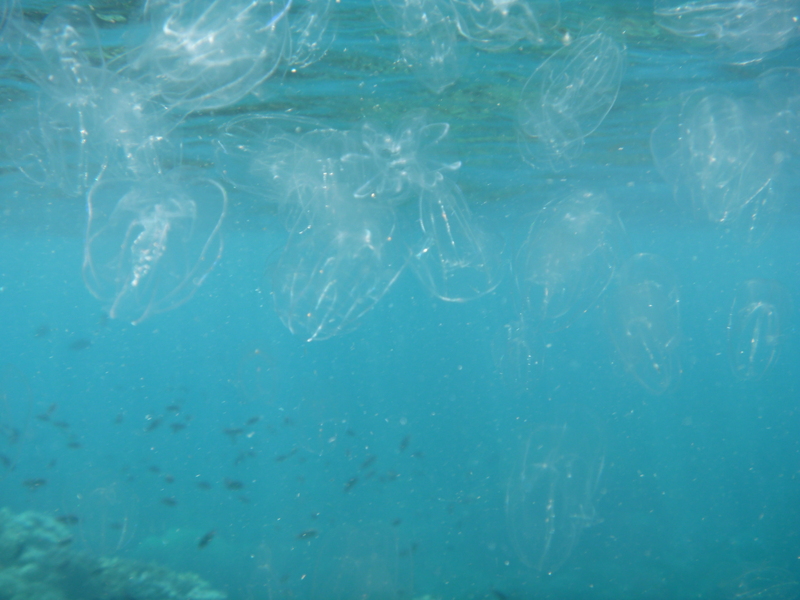 there were hundreds of ctenophores (I think)off the southern coast of Lembata Island in Indonesia. They were swimming close to the surface of the water, in large clusters. They were transparent, with a tinge of pink, oval-shaped, on average about 2" long by 1" wide, and each appeared to have four "leafs" to it. The water in this area was about 10 to 15 feet deep, and the bottom surface consisted of sand, with healthy coral reefs and many tropical fish. Yes! Looks like Bolinopsis vitrea. Thanks for the photo.